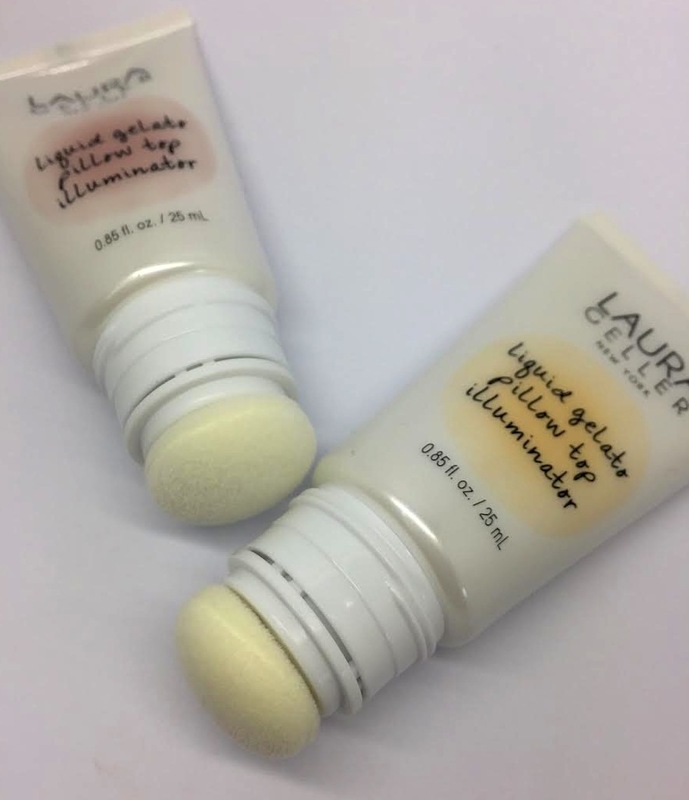 Out now from Laura Gellar are two pillow top cream highlighters. The liquid gelato highlighters are applied via a squeezy tube, which then dispenses the balmy soufflé textured cream onto the skin. 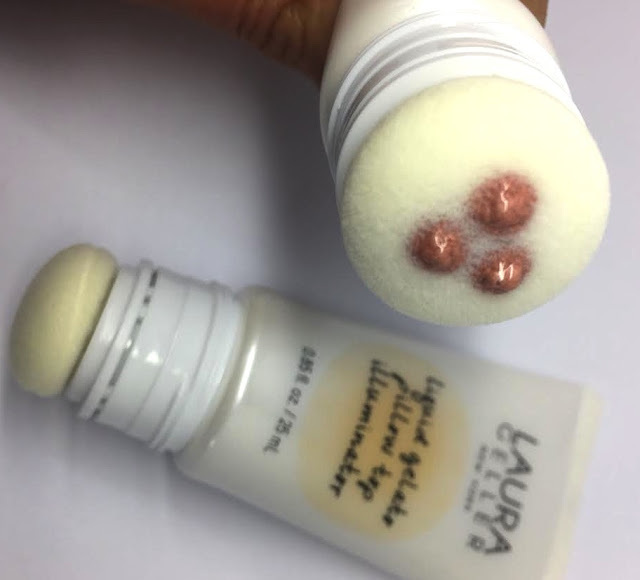 The pillow is a nice size and because the cream is dispensed through three openings in the centre of the pad it gives enough space around the edges of to buff the product into the skin. Skin benefiting ingredients include White Tea and Centella Asiatica (an Asian wetland herb), Hyaluronic Acid and Vitamins A, C and E.
These have anti oxidant properties and plump the skin whilst hydrating. I love the texture of these highlighters and although they create a creamy layer on the skin they buff in well and don’t feel sticky at all. The sheen that these produce is a glossy, radiant sheen with zero sparkle. It’s almost like a wet look finish. 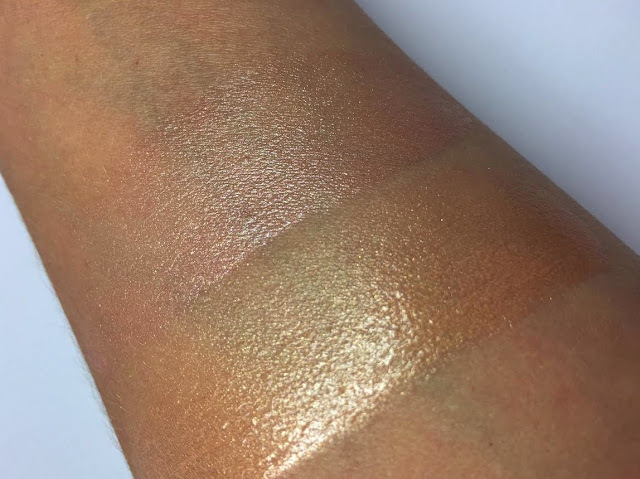 The two shades available would work on a medium to darker skin tone. They would look a little too warm on a fair skin. These are available here for £21.00 each. There is also a spare cushioned pillow in the box for you to replace when the original gets a bit clogged up. It looks like quite a fun product ! The shade are so pretty ! 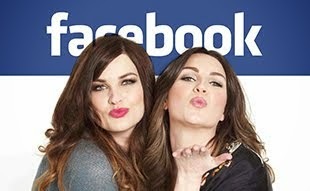 They look absolutely gorgeous! I can see the pillow making the product perfect for highlighting the collarbones and shoulders!